Gone are the days of the true point guard that dribbles the ball up the court, sets up the play and gets the heck out of the way. Just like a dual-threat quarterback is coveted in the NFL for their ability to do it all, the point guard position in the NBA has become synonymous. No other player is quite as multifaceted at the position than Los Angeles Clippers star, Chris Paul. In his eight seasons in the league, he’s been to the All-Star game six times, not only as a result of his consistent production on a nightly basis, but also his ability to completely dismantle his opponents on the court. Standing 6’0 in height, his size gives him a speed, quickness and agility advantage over the opposition, while putting him at a disadvantage in getting shots off over taller defenders. Despite this development, Paul still manages to do that, but with high efficiency, keeping opponents on their heels with his impressive ball-handling skills, reminiscent of those And1 mixtapes that used to float around. With regards to his passing ability, it’s safe to say that it’s unmatched, and if there’s anything that evidence of that, it’s his 10 assist a game average over the course of his career, and the Clippers being dubbed “Lob City”. 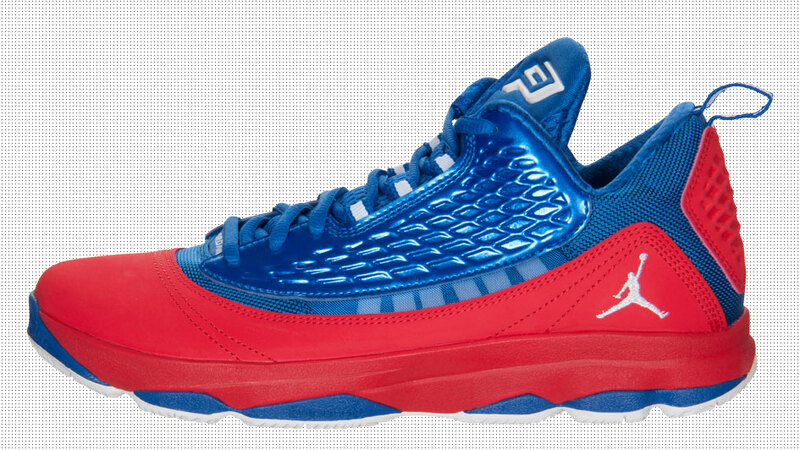 To complement Paul’s fast-paced, ever-changing and evolving style of play, Jordan Brand has decked out his latest signature sneaker, the CP3 VI, in a multitude of colorways. As of right now, the count is at 14 different color combinations, with another one on the way. This latest iteration is the most interesting so far because it jumpstarts the Artistan Edition collection, which is a variation of the CP3 VI. This colorway goes perfectly with Paul’s team colors with a game royal and sport red upper, contrasted with a white podulon outsole.